The bliss of train journey! Train journeys are the most enjoyed mode of traveling because unlike road vehicles Train takes you from a path where you can see the real natural beauty. Booking tickets for the train have become a lot easier than it was in the past decade. Online booking has seen a boost in the last few years. Many apps are available to book tickets and which will provide you with great discounts for the journey. Almost every facility is provided in the trains these days including restrooms, food, water charging points etc. 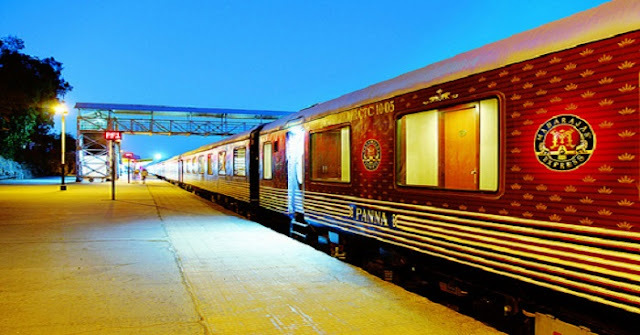 Following are the reasons why one should choose traveling on a train rather than any other mode of transfer. One can save a lot of money because traveling by train is one of the cheapest modes of transfer. Also one can get many coupons from online booking apps. The train will take you from the heart of a town, showing you all the beauty and architecture of the place. Most of the train stations are located in the middle of the city which means you will have to go there meanwhile you can visit the city also. This is also a plus point of traveling on a train. You can take as much as luggage you want to carry unlike other modes of transport. There is a lot of space to adjust your bags, backpacks, and trolleys under the seats and also between the seats. One can easily book online Food in Train. There are many sites which will serve you with hot fresh food. You can order any cuisine you want to have. The delivery system is so advanced these days that you don’t have to worry about how your food will reach you. Completely hygienic food will be served to you, which is prepared by your favorite restaurants. Moreover, the food is delivered on your seat itself so you don’t have to leave your seat and get down on any station for the food. At times you won’t find the station food to be hygienic so ordering food on the train is the best option one can benefit from. You can always stay connected to your family and friends on phone or also on the internet because most of the times you won’t face any issue regarding your connectivity. You can watch movies or your favorite series on your laptop or phone. Reading a book or novel is also a good option while you are traveling in a train. Comfort in traveling is the priority for everyone. In a train you can sit in any posture you like because the seat provided has a lot of space secondly there are no safety issues in a train one can travel easily at nights also.